HA NOI (VNS) — The Ministry of Natural Resources and Environment will issue a set of criteria for small-scale incinerators burning daily household waste in October, an official said. Hoang Duong Tung, deputy head of the ministry's Viet Nam Environment Administration, made the announcement at the ministry's monthly press conference. Under the criteria, an incinerator could be run if the fumes it discharged were treated and safe for the environment. 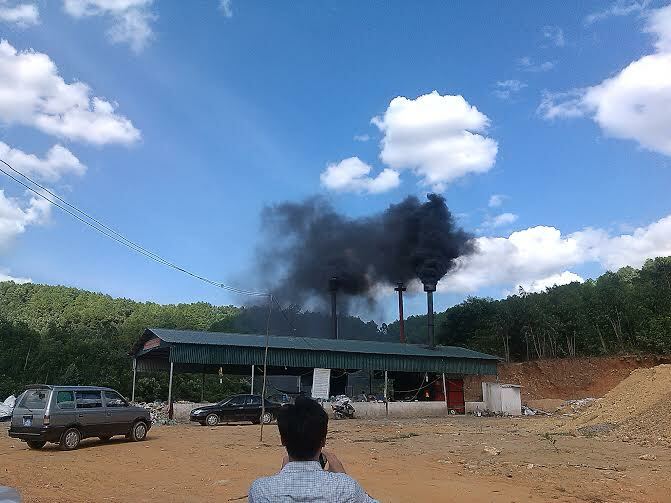 The move came after local media recently reported that small-scale household waste incinerators in Vinh Phuc, Phu Tho, Nam Dinh, Thai Binh and Bac Giang were discharging toxic fumes. Tung said some of the incinerators were made in Viet Nam, while others were imported. After the criteria were issued, the ministry would inspect all small-scale incinerators across the country, suspending those deemed substandard. Also at the conference, a representative from the General Department of Geology and Minerals of Viet Nam said the first bidding on mineral exploitation rights, scheduled to be held between July 1 and 15 at the department, was yet to be organised. Enterprises that registered for the bidding failed to meet the required amount of authorised capital necessary, he said. The bidding would be organised when registered enterprises met the standards, he said.